A few of us recently read/watched Tara Hunt's recent article/video "The Agency Model is Broken" with interest – particularly those of us who have previously worked at larger agencies, recognised the problems she talked about first hand, and agreed wholeheartedly. Bad client relationships that border on antagonistic, competitive pitch processes that focus on flashy, exciting, but actually pretty bad ideas, and a lack of continuity thanks to the stop-start-stop-repeat nature of big campaigns are all big issues that can make a lot of agency work feel pretty meaningless, mostly because it lacks a proper understanding of the business it's meant to be promoting. 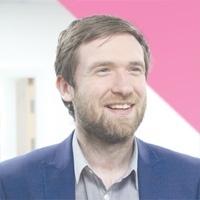 But as a small agency that works with other SMEs, we do feel that while these issues are pretty rampant across the agency sector, they're largely problems with either bigger agencies, or the agencies competing for the biggest B2C brands. Of course, those are often one and the same. 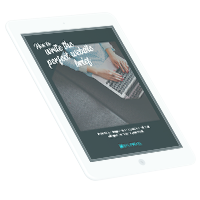 When working with smaller businesses – particularly, but not exclusively, those in the B2B sector – a smaller agency can get the results that actually matter. And when we do work with larger companies, we generally try to apply the same approach as much as possible, focusing on useful, relevant growth rather than the biggest media splash. 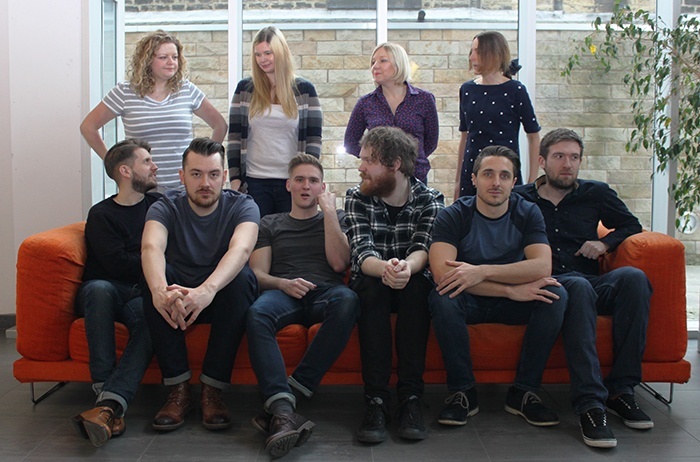 So, here's why we think the way we work as an agency is perfectly suited to smaller businesses. Indulge us, won't you? 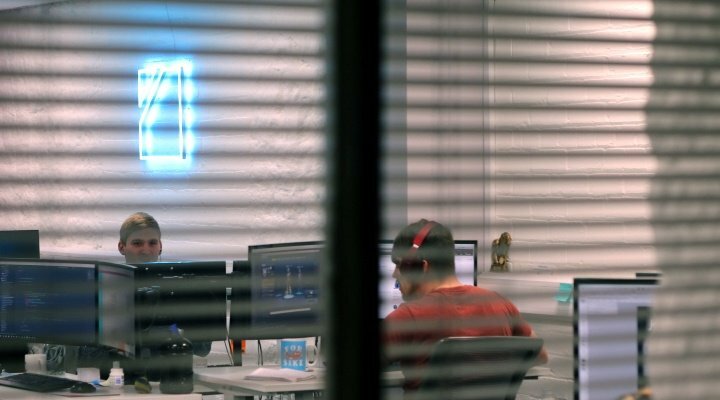 At the time of writing, there's 11 of us in the Splitpixel team – and the vast majority of the team are the creatives who actually produce our work. It means our client load is tailored to how much we can produce, not how many relationships a team of account managers can manage. It means we don't pitch a huge project and then tell our client it can't be done until six months down the line. It means you can communicate your feedback to the designer, writer, developer or marketer making your site or campaign come to life, rather than having your message transformed as it goes through a stream of account managers and digital execs. It means that we all understand every aspect of the project, because we work on it together, in the same room. While we do have business development and project management staff who work as main points of contact for our clients, we understand that the people who drive us forwards are the people who actually make stuff happen for you. See? This is... most of us. All but one. Definitely a "we're bored because we've been doing this shoot all day" photo, if ever there was one. Click it to go and meet the whole team! We really do get to know the people we work with, and work for. Making sure clients have access to our creative teams means we can understand the way they want to be represented, and they can understand the way we work. We've also had an incredibly low level of staff turnover over the past ten years (not including temporary placements, we've achieved a staff retention rate of 90%), which provides continuity for the people who have worked with us in that time. Many of our clients over our time as an agency have also been new start-ups, who have turned to us for guidance on how to launch their business online. We never shy away from working with new small businesses like this, offering valuable advice wherever we can – and we approach established businesses in the same way. We try not be pushy, but we don't hold back from giving our opinions on what we think you should be doing to improve. As a combined web design and digital marketing agency, a number of our clients have relied on us for both sides of our services over the years. Often, we'll design and build a website, and then continue to market it. 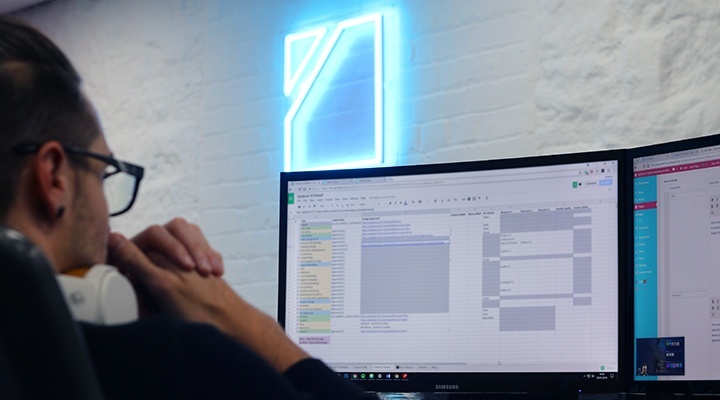 This means that, when we come to digital marketing campaigns for our clients, we've already picked up a huge amount of insight into their goals and their audience from the web design process, meaning we can hit the ground running with a strong, well-developed idea. And when clients approach us for marketing without web design, we don't just dive right in – we follow a similar process of web strategy research and planning to what we would do if we were working on their website. Both processes focus on how to improve content and SEO, but the pure marketing approach looks at off-site activity, rather than the aesthetics and usability focus of the pure design approach. This creepy "peering through the blinds" photo was meant to signify the type of audience research we don't do. Doesn't really land, sorry. Just click on it to go and read our blog about competitor research tools we use when developing strategies for our clients. A major criticism in Hunt's video is of the pitching process that surrounds big brands. Typically, agencies will come to the pitch with a fully-formed idea of their first campaign ready to go, with the hope that it'll dazzle the company into signing with them. However, these pitches typically under-research and over-promise – with no regards to budgets, they're over-the-top because they'll likely never actually get made. We think any agency that approaches an SME in this way in particular is making a big mistake. We'll always come to the initial meetings with ideas, thoughts and recommendations. But we're upfront about the fact that we take the time to research and develop campaigns properly, rather than diving in. The risks of gambling on a flashy quick win are much higher for smaller businesses. We focus on long-term changes and activity, backed up by research, testing and refinement. This is essential for SMEs, as it means companies are getting the most out of their budgets. Does this sound like the right fit for you? We hope it does, and we'd love to talk further. If you're looking for some inspiration on how to maximise your digital marketing before you get in touch (though knowing what activity you want isn't a requirement for coming in to see us! ), you can download our SME guide to digital marketing below. Hope it helps!